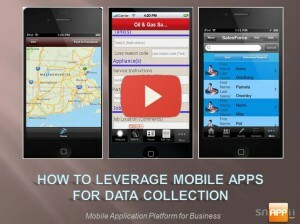 The uses for mobile data collection are endless. From remotely-manned oil wells to agriculture, scientific research, crime scene investigation, global health and much more. The ability to collect and immediately transmit data eliminates the paper processing nightmare and adds a competitive edge to any organization. Come learn about leveraging mobile business apps and the essential features and functionality they can provide for mobile data collection.